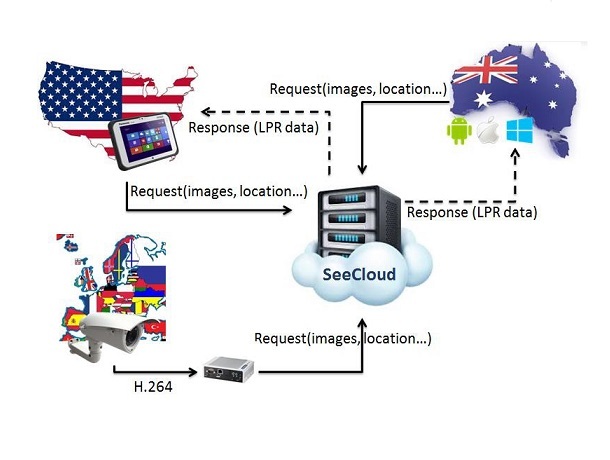 HTS’s “SeeCloud” is an effective, cost-efficient and scale-able license plate recognition. It is offered as a Software-as-a-Service (SaaS). SeeCloud’s cloud-based architecture means that there is no infrastructure to install or maintain – just supply the images and access the data – in real-time. The architecture illustration shows a number of image sources – captured from various types of cameras – which can be uploaded to the cloud by registered users. The request message activates a recognition process, and the result is transmitted back at a short time. • No special, costly camera requirements; let HTS’s best-of-breed recognition techniques do the work.